Liz Earle, wellbeing entrepreneur and founder of Liz Earle Wellbeing, is our latest guest in our #GoNatural interview series. Since leaving her eponymous skincare brand, Liz has been busy with her new venture, Liz Earle Wellbeing and is on a quest to inform and encourage us to lead our best lives using the best that nature has to offer. We caught up with Liz to find out what the busy business woman has been up to and of course, get her tips on living a more natural life. Liz Earle MBE, the wellbeing entrepreneur and founder of Liz Earle Wellbeing, is the latest guest in our #GoNatural interview series. Since leaving her eponymous skincare brand, Liz has been focused on her new venture, Liz Earle Wellbeing and is on a quest to provide us with wellbeing wisdom we can trust to bring us the best ways to look good and feel great. We caught up with Liz to find out what the busy business woman has been up to and of course, get her tips on living a more natural life. Liz, you’ve had a pretty marvellous career! Since stepping away from your skincare label, you have gone on to launch Liz Earle Wellbeing. Can you tell us about your decision to launch it? Liz Earle Wellbeing, my wellbeing website and magazine, have seen me returning to my roots as a writer and researcher with a focus on nutrition, food and all aspects of healthy living, which I absolutely love. 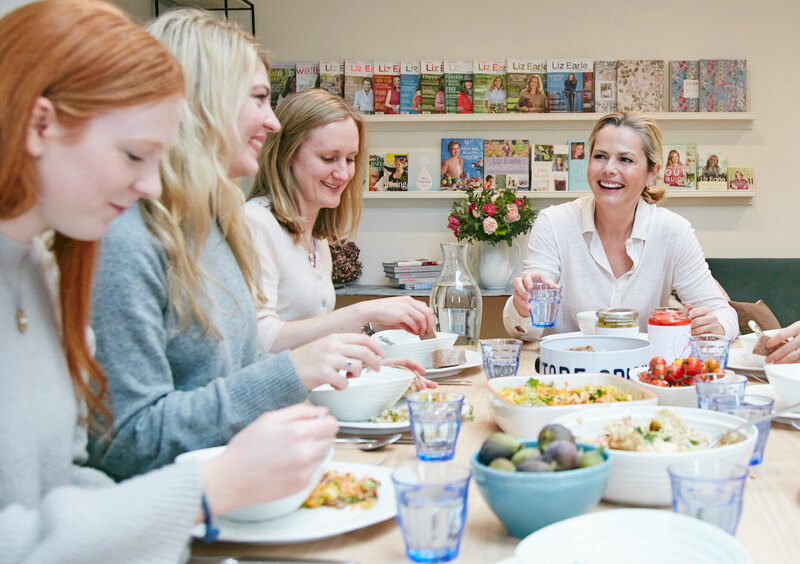 I truly believe that health and wellbeing go hand-in hand with eating well and I launched Liz Earle Wellbeing as I believe that there is more I can do to help raise awareness of the small changes we can easily make to look good – and feel even better! You cover a range of health topics on your site, what would you say is the most common thing you are asked to address by your readers? 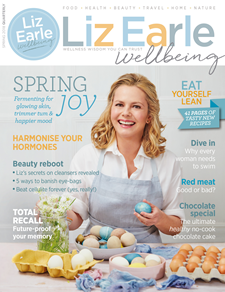 The Liz Earle Wellbeing audience – both readers of the magazine and subscribers to the Wellness with Liz Earle podcast – are looking for wellness wisdom that they can trust and that they can easily adapt into their everyday lives. Top tips for healthy living – such as my favourite wellbeing ingredients – are a firm favourite ask! I also write a lot about gut health and how to have a healthy menopause (and peri-menopuase which happens to women much earlier) as these are areas readers ask about. Imagine you hadn’t started your skincare brand or even Liz Earle Wellbeing – what would you be doing? When you’re not at Liz Earle Wellbeing, what do you like to do to relax? I live on a farm in the glorious West Country so I really enjoy the chance to make the most of family time outdoors at home. I love picnics, farm walks, picking flowers and foliage – really simple, yet special, relaxing family times that make for happy memories. Like us, you are an advocate of living a natural life. What are your tips for someone looking to take more steps to be natural? My main tip would be to look at what you are eating – how we fuel ourselves impacts on our wellbeing as-a-whole and it’s important to recognise this. I’m a great believer in feel-good food so I always try to embrace seasonal, local, organic produce wherever possible as the mainstay of my meals. My advice would be, try not to eat too many things that come out of a packet, always aim for lots of fresh veg and wherever possible go local and organic! You cite health and wellbeing as being some of your main interests – is this something that you have always been interested in or some that that grew with time? I’ve always had a passion for wellbeing and the natural world even as a child – inspired by my gardening aficionado father – so starting my working life in the wellbeing industry as a health and beauty editor back in the early days was an obvious choice! Go Natural to me in terms of food means seasonal, local and organic. I’m not obsessed with the latest food fads, but driven by balance and attainable goals. I love to add things in rather than obsess about things we should give up, so adding simple additions such as a daily glass of kefir (a high probiotic yoghurt drink), which the whole family can get healthily addicted to. What do you love about Dr.Lipp? I love that it is 100% natural and so incredibly versatile. I’ve always been a fan of purified lanoline as being one of the very best ingredients for sensitive skin. I’m never without a tube on my bag, especially as I travel and find my skin dries out so easily. My five children have grown up with lanolin since babyhood and they’ve all picked up my healthy skincare habit too. What’s next for Liz Earle Wellbeing? The next step for Liz Earle Wellbeing, now published by Hearst, is to global – we’re going to take on the world – literally! "I’m never without a tube on my bag, especially as I travel and find my skin dries out so easily."